After Lake Welch Parkway, we’ll enter Orange County and approach US 6. Keep left ahead for US 6 west/Seven Lakes Drive south. 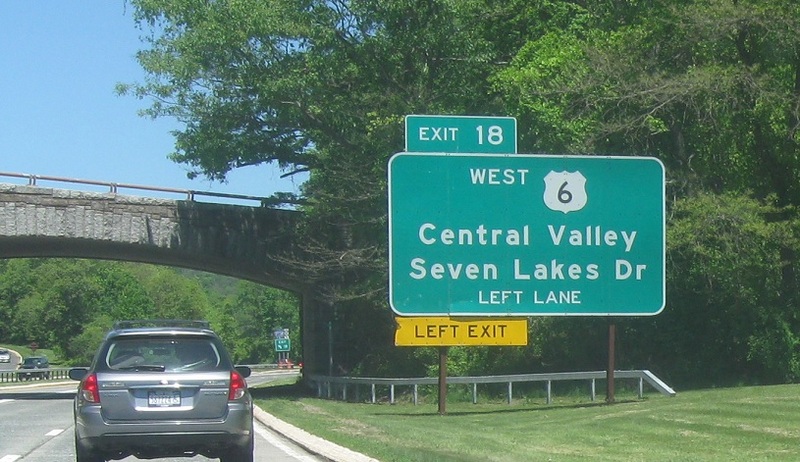 Exit left for US 6 west to the Thruway and the Southern Tier. 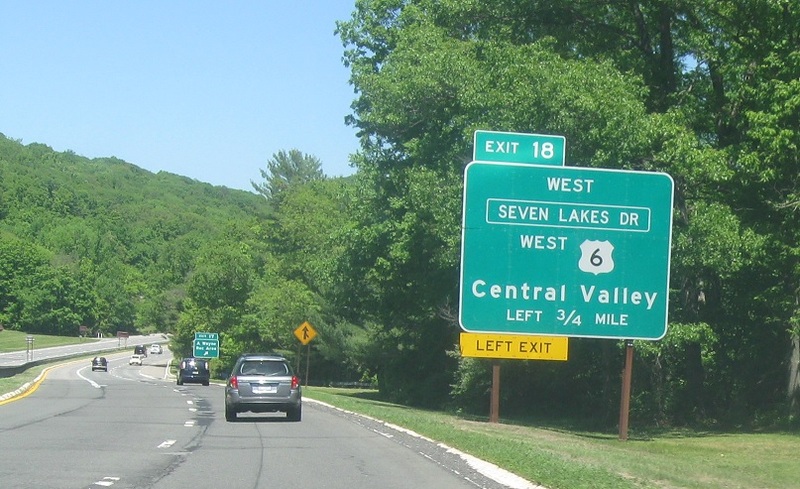 Seven Lakes Drive follows US 6 west. Keep right for 6 east/Palisades north/Seven Lakes Drive/north.